Samsung Galaxy Note4 vs Note5 Specs Comparison Table, Design Check : Should You Upgrade? I made this post for all of my friends and readers who own a Samsung Galaxy Note 4 and are now faced with the dilemma of whether they should upgrade to the recently announced Samsung Galaxy Note 5 or not. 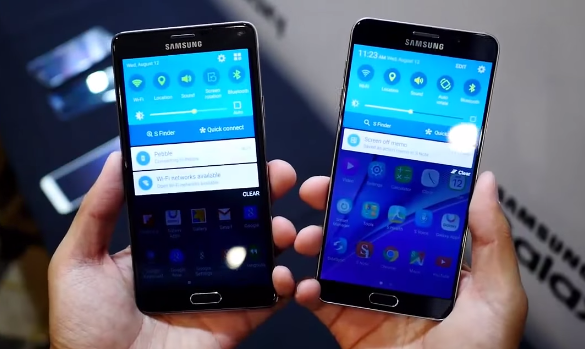 SGNote4 and SGNote5, respectively. Their faces look identical, really. The latter just have slightly thinner side-bezels framing its display. 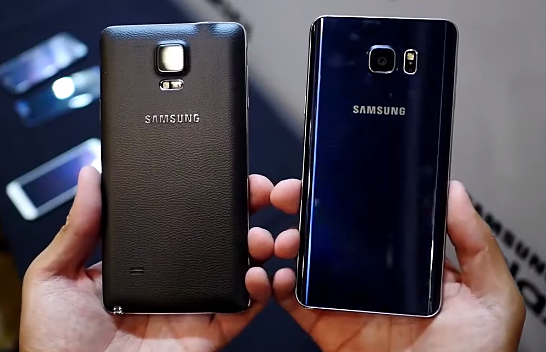 "I think the Note5 is obviously superior to the Note4 in terms of design and build. In terms of specs, the newer model runs on a more powerful processor (though I doubt if you'll notice a considerable improvement in your everyday mobile experience coming from the 2014 phablet), has more RAM for smoother multitasking, and comes with a higher resolution front-facing camera for selfies. However, the 2015 release lacks a microSD expansion slot that's present on its predecessor and has a smaller 3,000 mAh battery pack, which - unlike that of Note4 - is non-removable. It's a mixed bag. So at the end of the day, your decision will depend the handset features that you value and the compromises that you are willing to make as a user." To prove that statement, here are photos of Samsung Galaxy Note5 vis-a-vis the Note4 courtesy of iLeorju as well as our complete TechPinas Technical Specifications Comparison Table for these two smartphone-tablet hybrids. Sporting a thick, real metal frame (in lieu of chrome-plated plastic that's on earlier Note models) and a removable polycarbonate back plate with faux leather finish, Samsung Galaxy Note 4 became the most elegant and most handsome phablet by the Korean Giant - ever - during the time of its release. That title - I believe - has just been snatched from Note4 by the 2015 iteration to the series. Looking at these images, (I'm not sure if all if all of you will agree with me but) I think Samsung Galaxy Note5 could very well be the most gorgeous handset in the world today. Featuring scratch-resistant glass panels sandwiching an anodized aluminum side frame, the Note5's design language is identical to that of the equally eye-catching Samsung Galaxy S6. And on top of that, with dimensions of 153.2 x 76.1 x 7.6 millimeters (L x W x H) and weighing 171 grams, Samsung Galaxy Note 5 is also thinner, slimmer, and lighter than the older model. Making it easier to hold with one hand or to keep in the pocket - if a bit. To make it easier to spot differences between the two phablets when it comes to their technical specifications, I created this HTML table for you guys. I hope you like it. So again, Note5 has more RAM, runs on Samsung's newer 64-Bit Octa Core Exynos 7420 SoC which also supports 4G LTE Cat9 mobile connectivity, and has a better 5 MegaPixel front-facing camera. The two model's screen size, display type, and resolution (5.7-inch Quad HD SuperAMOLED) are all the same. 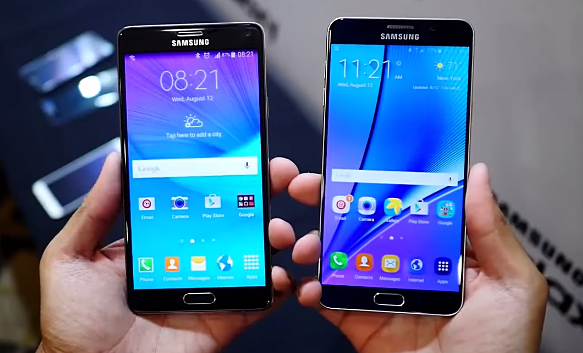 But since Note5 is not as tall nor wide as Note4, the fresher release has superior ~75.9% screen-to-body ratio. Similarly, both have the same 16 MegaPixel main shooter but Note5 (or at least, most units) is equipped with the company's top-notch ISOCELL sensor (that's also on the SGS6 and Samsung Galaxy S6 Edge) that should make it a better point-and-shoot camera replacement. 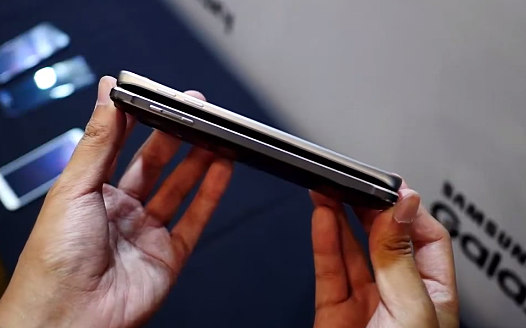 One thing about the SGNote5 that greatly disappointed many Samsung fans and gadget enthusiasts when the phablet was announced a few days ago is that it is only powered by a 3,000 mAh Li-Po battery pack, which is not only smaller than what's on the Note4 but is also now non-removable. Many find this move by Samsung more than odd considering that the smartphone has a massive, ultra-high-resolution display and a beast of a chipset requiring a lot of power. To be fair to Samsung, however, the smaller battery made the phone lighter and they aren't enough tests out there proving that Note5 is indeed inferior to Note4 when we talk about actual battery life. One thing I absolutely love about the Samsung Galaxy Note 5 is that it now has spring-loaded mechanism for ejecting the stylus; Just one press and the S-Pen pops out. I hated using my fingernails when pulling the stylus out of my earlier Note models; It hurts and sometimes, I even scratch either the pen or the phablet itself in the process. In terms of software, aside from its redesigned Air Command menu - which automatically launches when you eject the stylus, SGNote5 features the all-new Screen-Off Memo that lets you take notes on the phone's display from sleep, without having to turn it on. Should be very useful, I think. 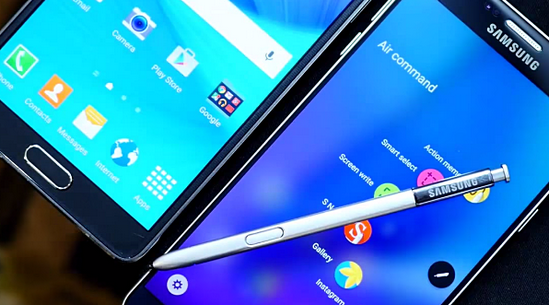 Samsung Galaxy Note 4 is due to receive the official Android 5.1.1 upgrade with the latest TouchWiz UI soon. Once your Note4 gets that, its entire interface should be identical to what's on the Note5. Having presented all these information, let me throw the question back at you. 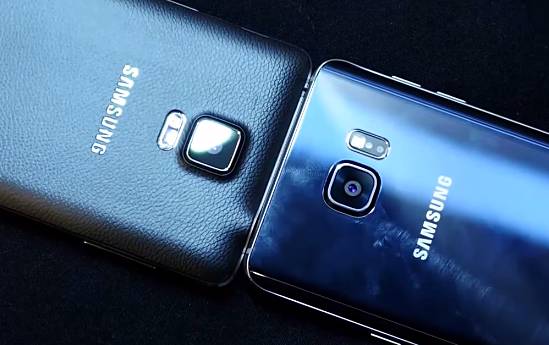 Should Samsung Galaxy Note 4 owners upgrade to Note? What do you think guys? Let me know your thoughts via our comments section below.